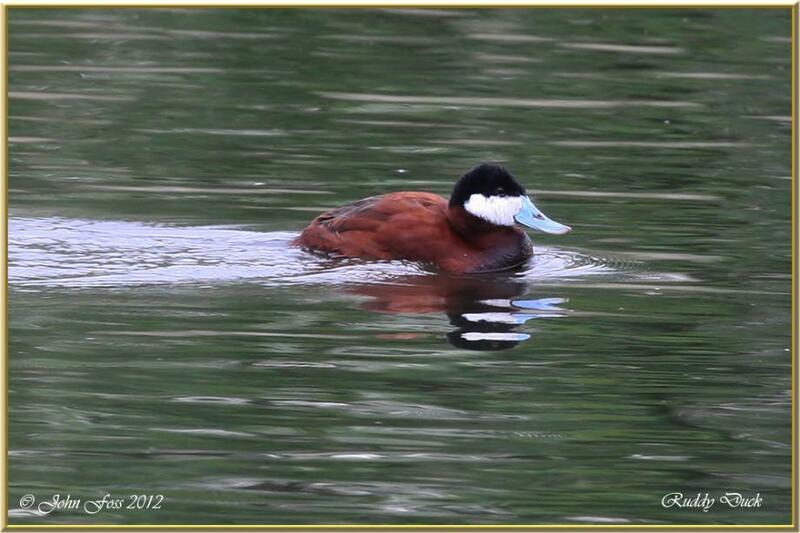 Ruddy Duck - A small diving duck. Compact body with large head and stiff tale give it a very distinctive shape. With it's bright blue bill it is easily identified. This one photographed at Attenborough Nature Reserve Nottinghamshire.